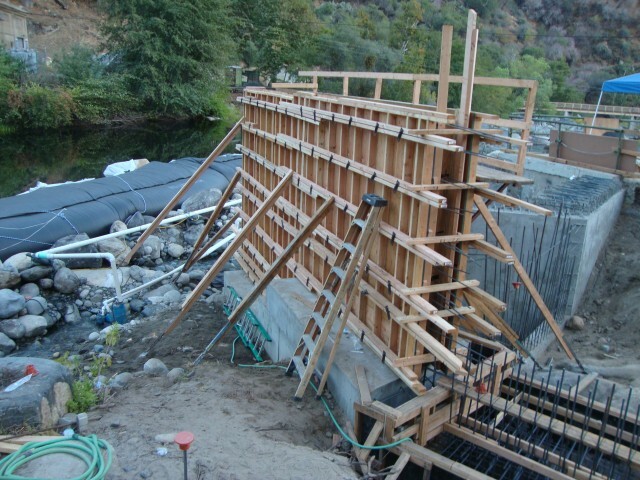 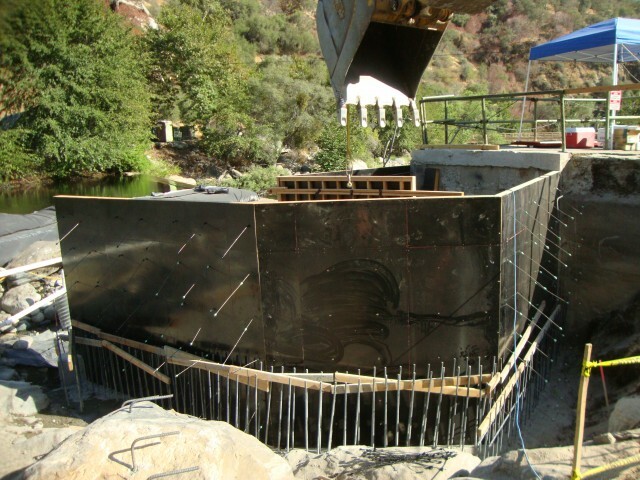 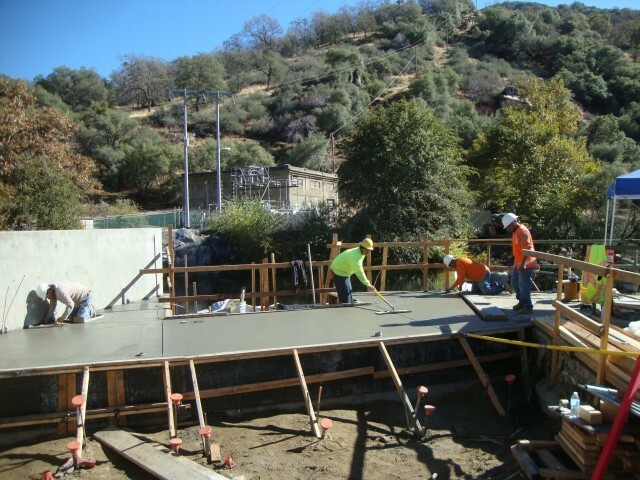 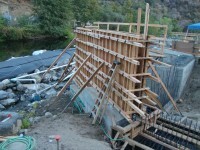 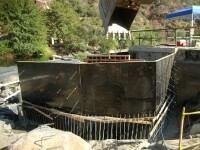 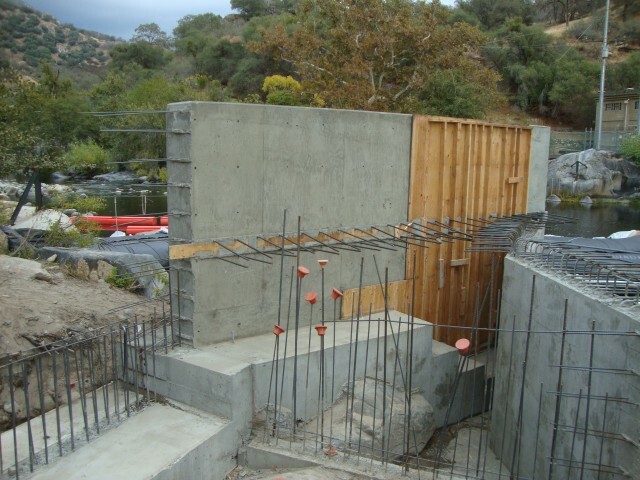 Kaweah Intake #2 Modifications • MCS Construction Inc.
Kaweah Intake #2 was originally constructed in 1904 by the Mt. 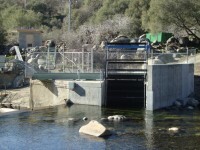 Whitey Power and Electric Company in Three Rivers, California. 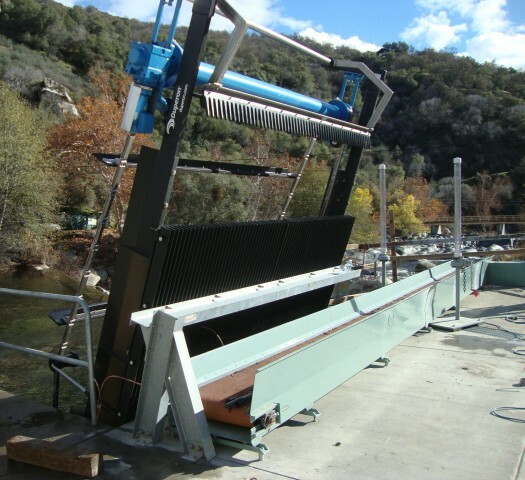 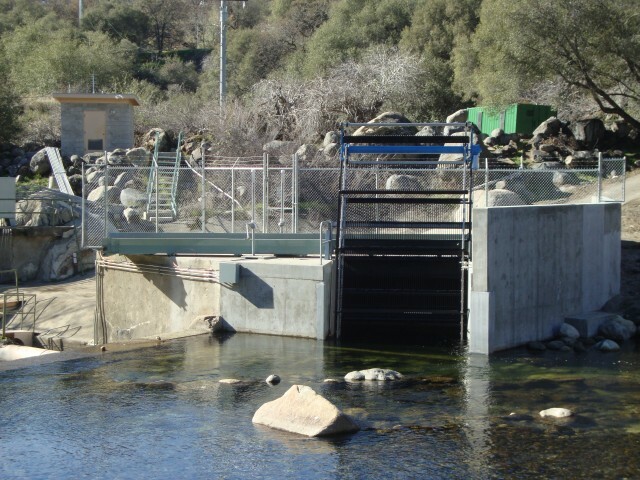 Located upstream from Kaweah Powerhouse #2, the Intake directed water from the Kaweah River through a series of wooden flumes into the powerhouse where it was used to create electricity for the City of Visalia and surrounding communities. 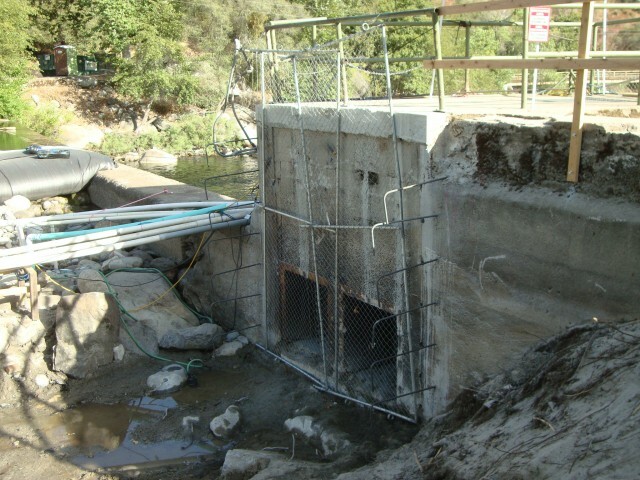 In 1917, the Powerhouse and two others along the Kaweah River were acquired by Southern California Edison Company (SCE). 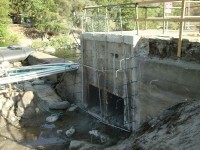 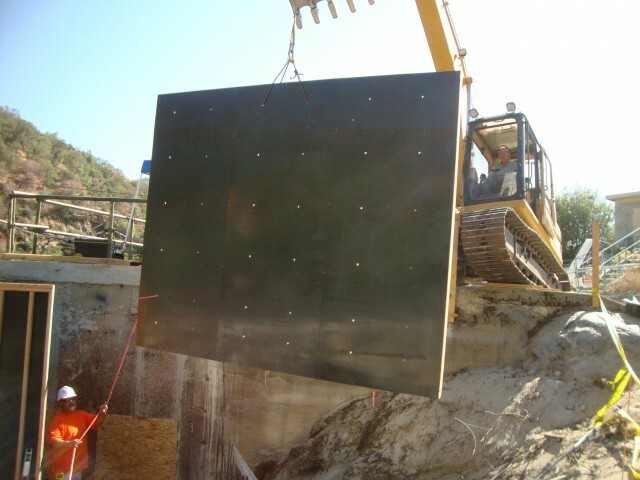 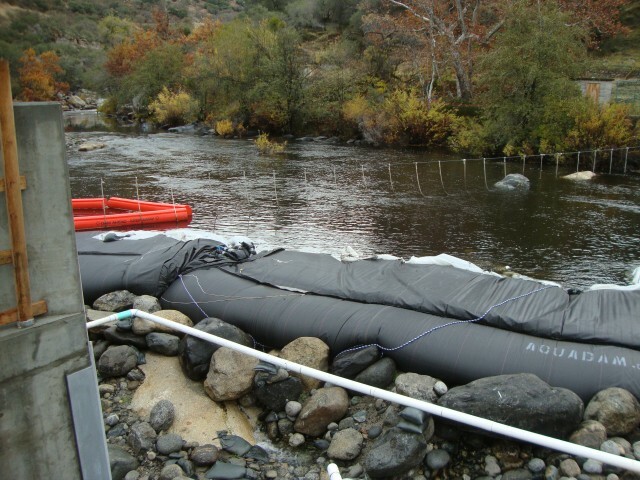 In 2012, MCS was contracted by SCE to reconfigure the existing Intake and adjust the flows that entered the system. 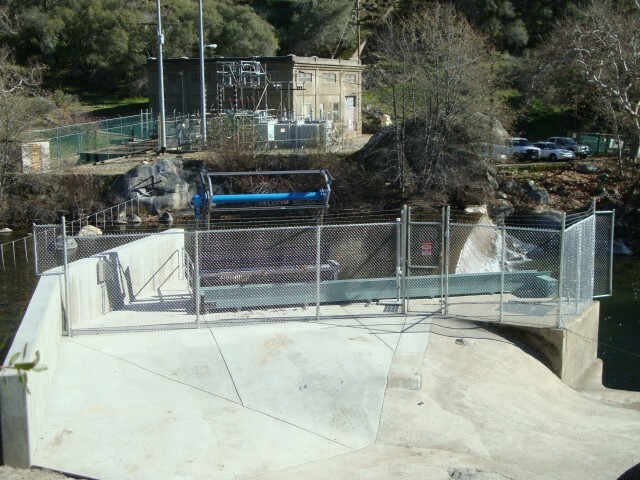 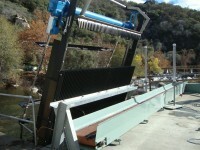 In addition, the existing slide gate and operators were replaced and a self-cleaning trash rake with conveyor, concrete barrier wall, handrails and fencing was installed. 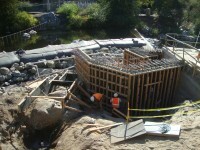 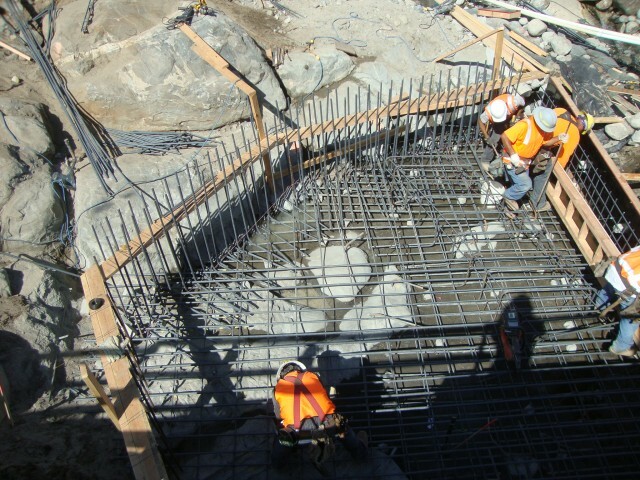 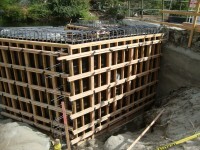 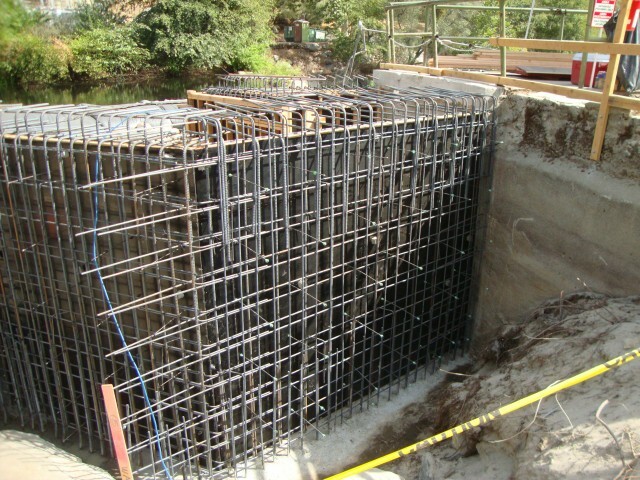 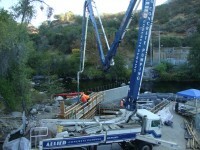 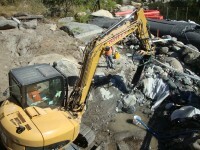 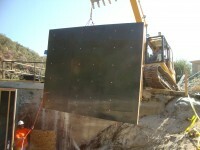 Prior to construction, the site was dewatered using a series of pumps and hoses, and a temporary coffer dam was installed. 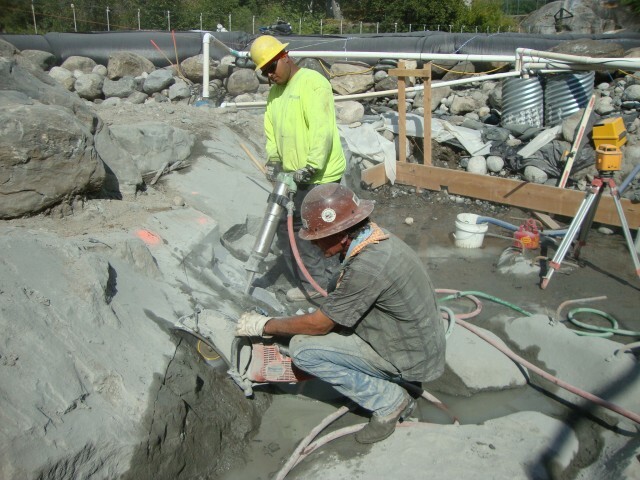 While working next to an active river, crews removed approximately 320 cubic yards of rocks and silt to clear an area for the new concrete structure’s foundation. 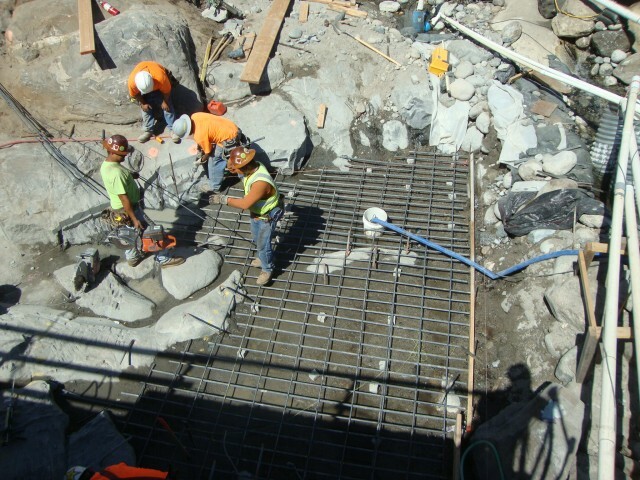 Once the foundation and walls were completed, crews used a 5,000-pound deck scaffolding form system to construct the upper deck section. 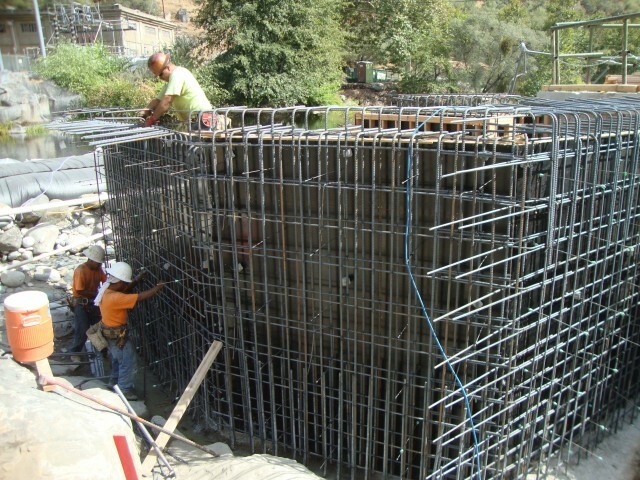 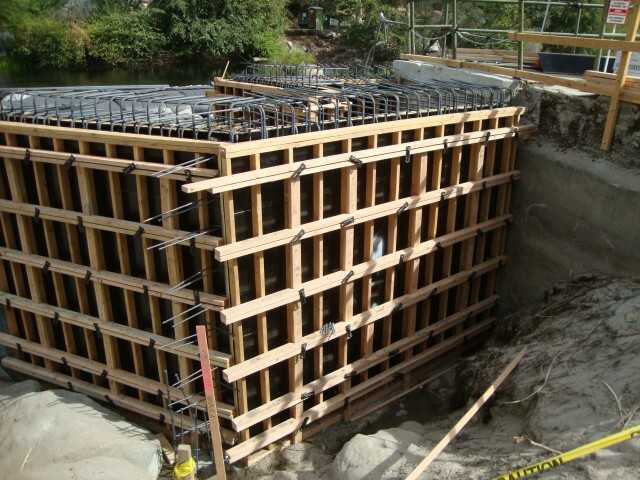 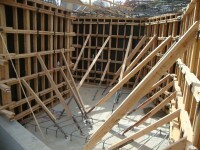 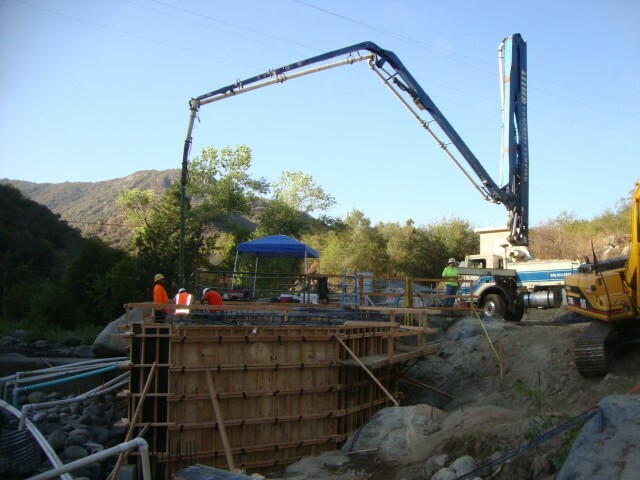 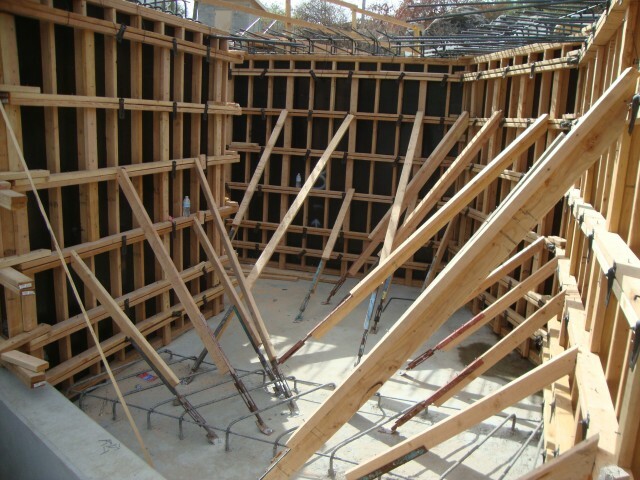 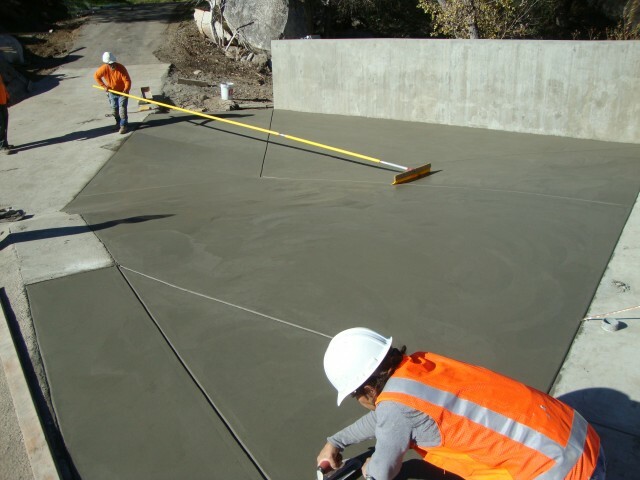 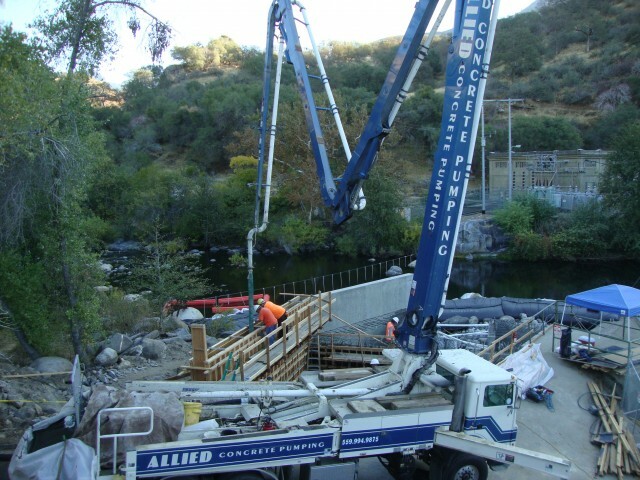 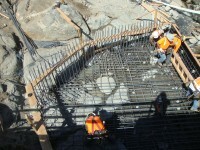 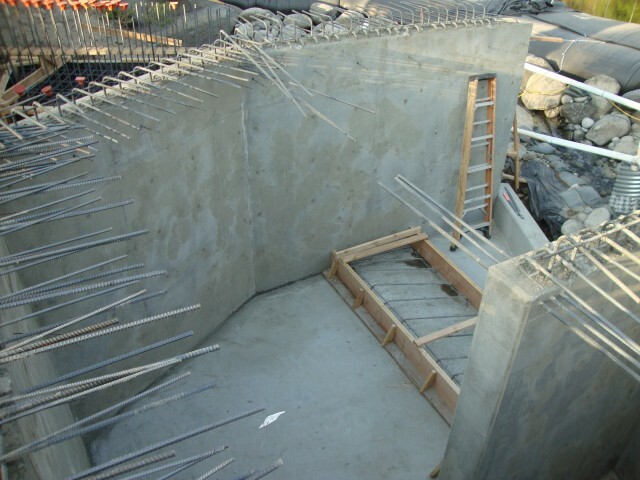 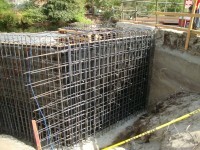 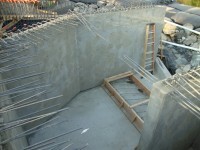 With the concrete structure completed, crews then backfilled the site and installed the new equipment. 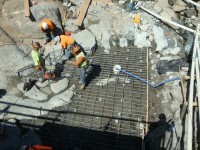 Construction was completed in early 2013.